Learn that sounds have identifiable characteristics. Learn that sounds can convey information. Several items that make sounds so that the students can guess what objects make the sounds. You can even record sounds to use. Suggestions might be a ball bouncing, a stapler pressing into papers, a whistle, a flipping light switch, a computer booting up, tearing paper, a phone ringing and so on. Website NEOK12 (See Resources). 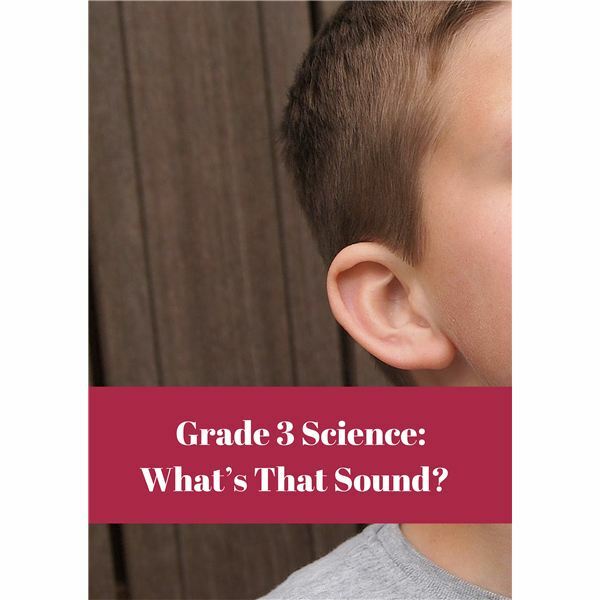 This website has a five-minute video called “Science of Sound" which takes the students to a science museum and shows some sound demonstrations. Ask students to sit down quietly at home (inside or outside) for 10 minutes the night before the activity. Instruct them to write down all the sounds they hear. Begin the lesson by talking about the homework. What sounds did you hear at home? What sound gave you information? What sound was most unusual? Say, “We are going to be learning about the science of sounds. Sound is a form of energy. Sound is made by something moving: hands clapping, crayons scribbling, switching on a radio or vacuum cleaner." “We cannot see sound waves but they travel through the air to your ear. The vibrating air makes your ear drums vibrate and sends signals to the brain. Stretch the slinky on a table between your two hands. Move one end of the slinky in and out and note how it moves like a wave through the slinky but each coil moves back and forth in the same place. This demonstration shows how sound waves move in a similar way. Another way to understand the vibrations of sound or sound waves is to hold a balloon in front of (but not touching) a radio. The sound waves push the air around and the vibrations are pushed from one part of the air to another very quickly. When they get to the balloon, you can feel the vibrations. “Now I would like you to turn your chairs in the opposite direction so that you cannot see what I am doing. I am going to make a sound and I want you to raise your hand if you recognize what the sound is." Use the items that you have prepared for this demonstration. Emphasize that sounds can be identifiable. “Sounds give us information. This can happen in many ways: listening to the news on the radio, hearing Mom call you for dinner, hearing your dog bark when he senses danger, following what the coach says to do in a game, answering a phone when you hear it ring and so on. Put on your thinking caps and think of some ways that sound gives you information." Fold construction paper to make eight sections. Illustrate and label examples of how sounds give us information. (Sirens alert us of a fire truck coming, school bell tells us to change classes, teacher giving instructions, swimmer yelling for help and so on). Encourage individual thinking and ask the class to choose a few of the best ideas. Claybourne, Anna. Sound. Gareth Stevens, 2014.